What Is The Best Way To Mobile Optimize Your Site? The concept of searching for content online using mobile devices is steadily on the rise, primarily due to the vast plethora of mobile devices and tablets now readily available in the market. They really seem to be advancing the cause, and more and more people are buying and using them. So how are these evolving trends changing things, and how does it effect you as a website owner? Previously, we have looked at various ways to optimize your sites for mobile devices. And there are more than one way to handle this problem. So what solution is the best for delivering content to mobile devices? There are more than one ways to serve mobile content to your users, and they fall broadly into three basic categories; Responsive Web Design (obvious! 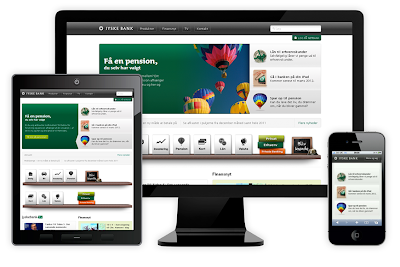 ), dynamic content serving, and creating the mobile version of a site. Probably the most popular mobile optimization technique used today. Responsive Web Design (RWD) involves designing content that automatically resizes and rearranges itself to fit the screen size and resolution of any mobile device. Since the content itself is redirecting, there's no need to create custom redirects to other mobile pages, or changing the on-page content itself. This technique is somewhat similar to RWD, but very different at the same time. While RWD detects screen size and resizes the content, dynamic content serving detects the user-agent at the server-end, and then presents a custom page on the same URL. The custom page is dynamically generated. Although this technique is hard to implement and requires a lot more maintenance, it is the most powerful method for serving mobile content to users, and experts recommend it for experienced webmasters. The final implementation you might want to consider is creating a separate mobile site, where smartphone users will be directed to a mobile-optimized version of your site. This implementation allows you fully customise your content for a mobile audience, since it’s often an independently hosted solution. Similar to creating dynamic serving content, this means you need to make separate updates for content or styling pieces to ensure a smooth user experience. Facebook is a perfect example of this solution. You have Facebook desktop version, and then you have Facebook mobile version. If Facebook had just used RWD to deliver mobile content, then low-end devices would have a lot of trouble keeping up with all the Facebook features such as Apps, Games, Chat, Instant notifications, and more. But with dynamic content serving and separate mobile site, Facebook has made sure that mobile users don't access features not suited/compatible for them. That was all about methods to implement mobile optimization. So tell us, what do you think is the best method for delivering mobile content? Responsive website design is the best! good article. thnx for it. I have a blog page on meo. Class 4 preperatory questions. www.timeyourbus.blogspot.com . Wen i read some posts on mobile screens, text is coming like a single letter in one line. How do i solve this?? Suggestions please.